The Lodge is a traditional cottage situated at the head of Loch Caolisport, which sits in a large fenced garden. The generous deck area down one side of the house catches the sun, and is the perfect place to enjoy the sunshine and views out down the loch. The ground floor has a modern fully fitted kitchen (including washing machine and freezer), dining room, twin bedroom, living room with comfortable leather suite and open fire, bathroom with electric shower over the bath, and a utility room which houses the washing machine. The upper floor is accessed by a spiral stair case, and has a double bedroom with an ensuite WC, and a twin room with views out to the loch. 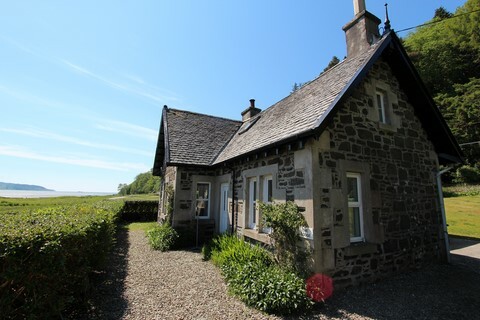 Ideal for anglers, the cottage is situated near the Lochead Burn – permits to catch seatrout here can be obtained when booking, or at any point during your holiday.